An Interview with Shelly Porges, Member of the Hillary for America Finance Council, Managing Director of Reservoir Q Global LLC. "I'd like to see more women using their voices and all the resources they have to bring about the changes they want to see in the world." 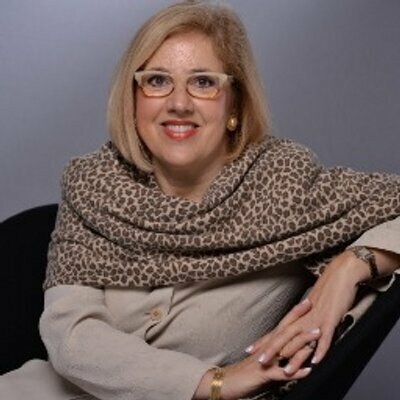 K. Shelly Porges is a successful serial entrepreneur and investor as well as a global entre-preneurship advocate. She is a sought-after strategy expert and speaker advising many organizations ranging from governments to corporations to NGOs, as well as Managing Director of Reservoir Q Global LLC. She served most recently as the National Finance Co-Chair for the Ready for Hillary PAC before joining Hillary for America as a key fundraiser. She is also the President of the North American Jury for the Cartier Women's Initiative Awards, on the Advisory Board for Global Entrepreneurship Week, and an En-trepreneur-in-Residence at Georgetown University. She is the former Senior Advisor, Global Entrepreneurship Program (GEP) at the U.S. State Department, a program she expanded to almost 150 countries, under Secretary Clin-ton. Prior to joining GEP, she launched the State Department's Global Women's Busi-ness Initiative to promote women's entrepreneurship worldwide. Before joining the State Department, she had a distinguished career in the private sector, including both corporate and entrepreneurial ventures. Her ten-year stint at American Express culminated as executive head of marketing for American Express Canada, prior to three years as chief retail marketing officer for Bank of America during a historic turn-around. Ms. Porges founded or co-founded a number of start-up ventures including one sold to Wachovia Bank; Third Age Media, the leading Internet portal for baby boomers; Scudder Weisel Capital LLC, a joint venture between Thomas Weisel Partners and Zur-ich Scudder Investments, one of the largest asset managers in the world; and Global Payments Experts LLC, a payments industry advisory firm. Ms. Porges also serves on the International Business Advisory Council for the President of Cyprus, the boards of the Global Banking Alliance for Women and on the National Center for Entrepreneurship and Innovation, and the advisory boards for early stage com-panies StartUp Cup, a global network of accelerator programs; Tiatros, a medical solu-tions platform; Distributed Sun, a commercial solar company and Cornerstone Capital, an institutional investment firm for impact investors. As a recognized expert on entrepre-neurship, innovation and leadership, she has spoken at events all over the world. Ms. Porges holds both a BS and MPS degree from Cornell University. I'm really taken with people who come up with unusual and unexpected solutions to problems, especially those we didn't even know we had. I really admire Robin Chase, founder of Zipcar. Over coffee with a friend, she came up with the idea of proposing ride-sharing in private cars when they were questioning keeping their cars as they used them so little. It was a back-of-the-envelope concept. When they started working on it, neither of them had been entrepreneurs. The company rose out of a need they saw, and then essentially saying, 'Why not do this?' I also really admire Travis Kalanick, Founder of Uber. Here were two guys, who stood on a corner and said, 'wouldn't it be nice to just touch a button on your phone and have a car pull up?' Why not? Then they took ridesharing to the next level and created a company worth billions of dollars. Being market disrupters, they have been challenged a lot, but still keep going.The boundaries of possibilities have been expanded. "I love that in today's world, particularly young people, look at the world and instead of saying 'Why do we have to do this?' they say, 'Here's the solution, why not?" My children. My happy, healthy, wonderful, family. I think so many, particularly younger professional women, are concerned that they can't raise happy, healthy, independent, smart kids if they are not micro-managing them. I think the fact that I worked, not only established a role-model for my kids, but also provided them a level of independence that was healthy. Not only was I happier and self-fulfilled, I also gave the right balance and created resources for the family. Young women in particular need to understand that it's do-able. "You CAN have it all but you can't do it all. You must have and recruit help, such as friends who help you carpool, a nanny. And a great team at work to help grow your company." From a business perspective, I think my greatest achievement, in how it affected and engaged the most people, was the historic corporate turn-around at Bank of America that I helped to lead. At age 34, I was promoted to Chief Retail Marketing Officer for the bank, the first woman at that level. I had other significant accomplishments as an entrepreneur, but in terms of pure business, that has to be the top one. Also, I've been able to manage the phases of my career and transition effectively and successfully. It's an important thing to master as we live longer lives, to be open to possibilities and say 'when one door closes, another one opens'. All my choices I made intentionally, so I was lucky enough to move forward on my own terms. I think the ability to make those transitions - career, family and life transitions - is a success too. Finally, I had setbacks both professionally and personally. It's so important to know what's important to you and to focus on those values as you rebound from either bad decisions or negative circumstances resulting from factors outside of your control. The key is to appreciate what you do have, even in times of turmoil and approach all situations with optimism. Resilience is something you must learn. I have been so lucky to have a loving family and very supportive friends. My children and I have also always been healthy thus making facing any other challenge much easier. Over the course of running different businesses, my biggest challenge was funding. I was very lucky in that in a number of businesses I partnered with men, so that made a difference. Three times I had women partners, and three times I had men partners. In one company, my former mentor from Bank of America was also close friends with the head of the venture fund that finally invested in us. That's why I stress the importance of women networking with men who are supportive, and identifying those who will recognize what you are capable of. The same man who promoted me at Bank of America, then became CEO after we turned the bank around. He is the same man who later helped us land venture funding for our business. It was through his endorsement that our women-founded firm was able to get our initial funding. Even before funding, other problems faced by many company founders is that you need to develop a business around a big idea. "Solve a big problem where customers are willing to pay for the solution. Once you've got that element, then it's all about the networks." It's all about who do you know, what can you do for each other. I'm an extrovert, so networking has never really been a problem for me. But for many women, it really is a problem. Most women work on their own; they don't necessarily have a partner. They don't invest enough energy in getting out there and making the connections that will be eventually useful for them. What do you think is key to your success as an entrepreneur? I think over the course of my career, something that has made me successful is being open to new opportunities, making the most of them, and having the confidence to do that. I am a really good business strategist. I see opportunities and tend to see connections that have to happen in order for a business to be successful that other people simply don't see. I might be totally new to a business, and because I have a certain understanding about how you create leverage in a market, I can give somebody insight and input. I think it's part of the reason I'm successful. I am very willing to help. I try to leverage what I've learned and share it with other people, because I'm really passionate about unleashing people's potential. "Part of the success is being open and part of it is that, an entrepreneur has to be quite confident. You have to have grit, a level of determination and persistence, so that when you hit the wall and face challenges, you care enough about it to make it through." Through the early part of my career, I had a certain level of confidence, but I didn't have perspective. I think experience and perspective certainly help give you confidence. I would have told myself to be more confident. At Bank of America, I was recruited to San Francisco as part of a turnaround team for the bank, to lead marketing for their credit card business, the largest in the U.S. I did some evaluations with the team and came up with three major proposals to turn the business around. After two months there, the Vice Chair of the retail bank promoted me to the Chief Retail Marketing Officer for the bank. When he offered me the job, I actually tried talking him out of giving me this huge promotion, something I think only a woman would do. A man would never think of doing that. I came back to my office after that conversation and I remember thinking, 'I thought I was confident, but this man has so much more confidence in me than I have in myself'. It was a real lesson in leadership. As a result of that, I thought 'I can never let him down'. It's not like I could work any harder, because I was already working hard. I worked as smart, innovatively and thoughtfully as I could to seek out every opportunity I had to move forward. It's a really inspiring thing, when somebody believes in you so much. Research says that men are promoted on their potential, but women are only promoted on their track record. This was a man who was prepared to vote on me for my potential. I never forgot that. I wouldn't encourage all others to take the jump. If you feel compelled, if you have an idea that you think you need to pursue, that really propels and moves you, then you should absolutely do it and do whatever it takes to realise it. I don't think you should become an entrepreneur, to be an entrepreneur. If it isn't something that compels you, then when you start to face some of these challenges that all entrepreneurs do face, and the extra ones that women face, then it's going to be awfully hard to sustain it. "If you have an idea that you think you need to pursue, that really propels and moves you, then you should absolutely do it and do whatever it takes to realise it." I feel that I am a visionary, collaborative leader, and I like to bring people together. Having said that, I'm also pretty headstrong. I'm generally a good communicator. When I approach an opportunity, I like to bring people together to create the vision for what we are trying to get done, articulate it well, then ideally mobilize really great people who can help realize the vision. I'm not perfect - I can be demanding and impatient, but I like to think I hold myself to the same standard as I do others. I really believe in failing fast. If you have the wrong person for the job, without disrespecting them, I try to create a path for both parties to move forward. "Be calm. Have no fear. I would tell myself to be calm, confident, optimistic. My younger self was very anxious." I didn't come from a wealthy family, my father died when I was relatively young, my mother had problems and there were a lot of issues. I had a lot of anxiety. As optimistic as I am today, I had moments during my college years where I was very distraught. It really was a lack of confidence. I was competing with all these other smart kids at an Ivy League school, putting on my best face. I hid my problems from my parents and didn't want them to know. Now I would tell myself seek help from others. It's not a sign of weakness, it's a sign of strength. "Engage others in your outcomes. Lots of people care and will help you realize your dreams." I would like to see Hillary Clinton elected president. One of the things that has allowed me to make these transitions effectively has been to have a vision for what I want to do going forward. When I was still at the State Department, I felt we had accomplished much. I asked myself:. 'What is the next most important thing I can be doing with my life?' I concluded, that there is nothing more important than to do what I can to see Hillary elected president in 2016. That's how I began to work on Ready for Hillary. I decided that it's the biggest thing I could do for me,my family, my community, my country and the world, because the President of the United States makes such a huge impact on the world. Now I know what my marching orders are.